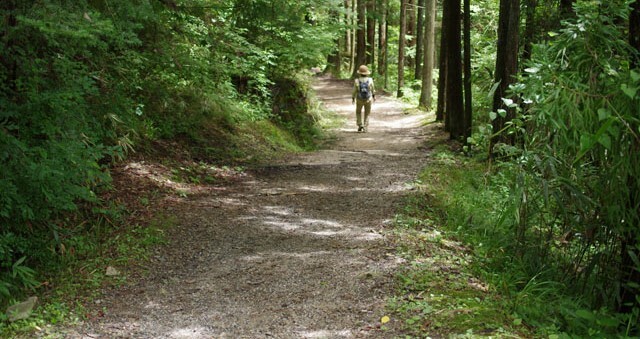 I walked part of Kisoji from Magome-juku(post station) to Tsumago-juku with my wife. 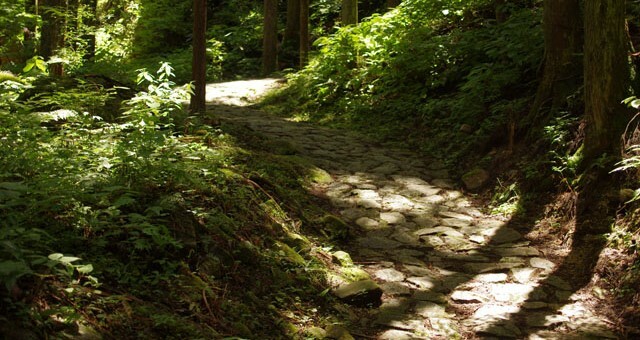 The Kisoji is portion of Nakasendo-way which connecting Edo(Tokyo) to Kyoto, is located in Nagano-pre and Gifu-pre in central Japan. The lenght is 8km, the walk takes 3hrs, the route passes mostly mountain and forest. 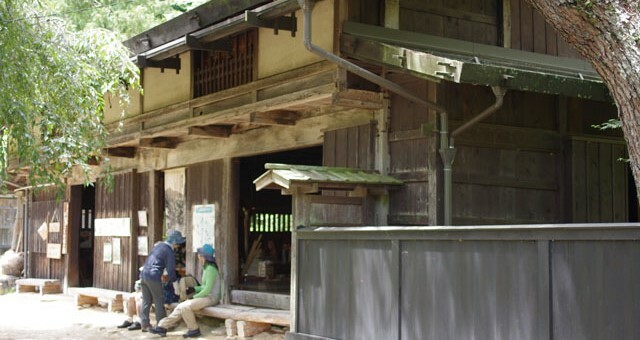 Magome-juku and Tsumago-juku, those post stations were developed in the Edo period (1603-1867). 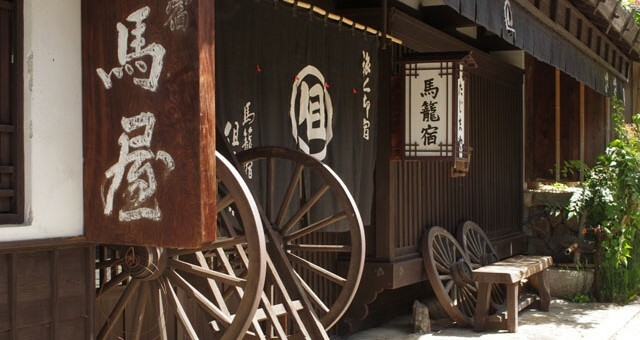 Please enjoy below phots and report as if you were travelling in the old days of Japan. 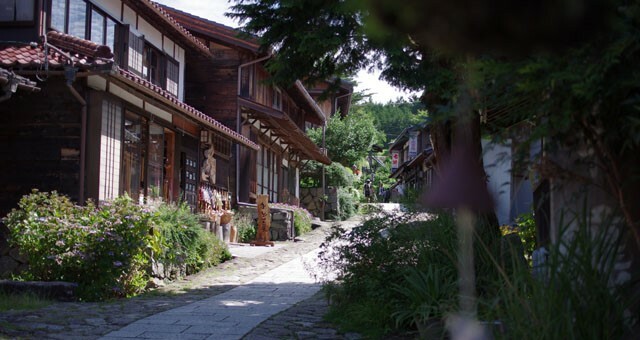 Magome-juku is the southernmost post town in the Kiso valley. 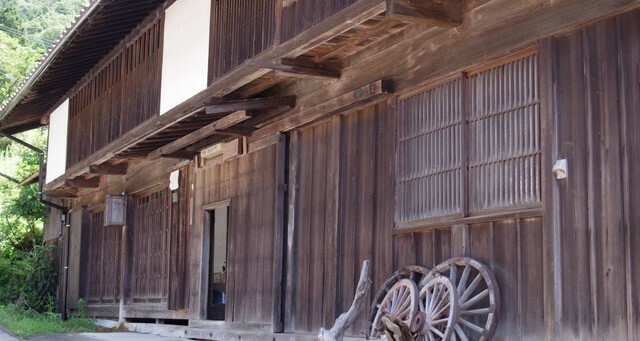 Old edo period houses are lined along a stone pavement sloop. 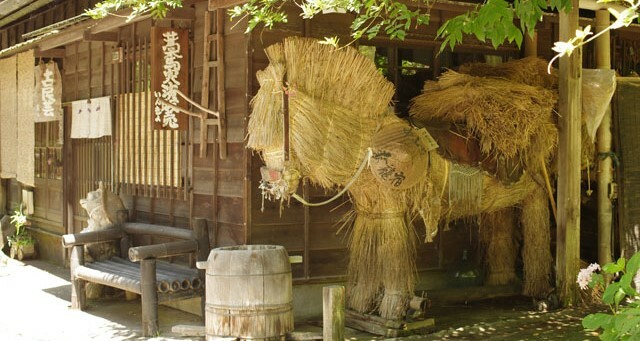 Magome means “horse and basket”. 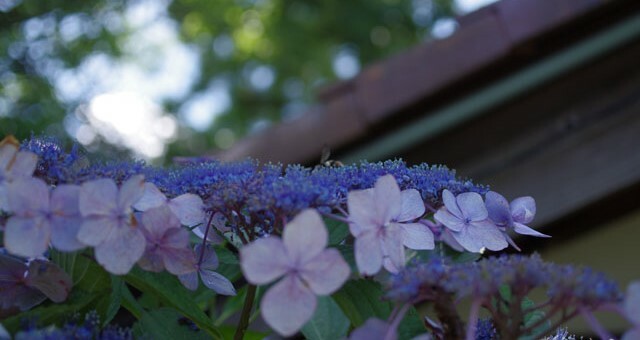 Ajisai(hydrangea) was in bloom. 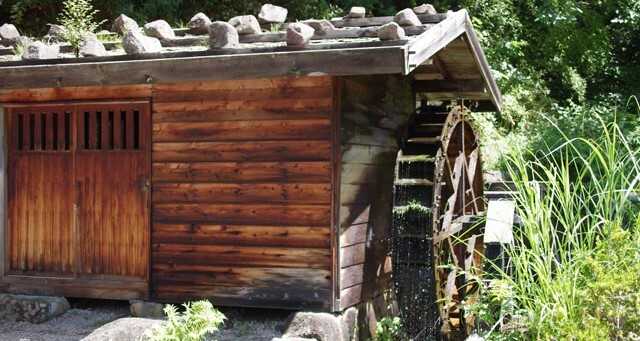 The water mill was turing round in the flow of water. A bear avoiding bell. 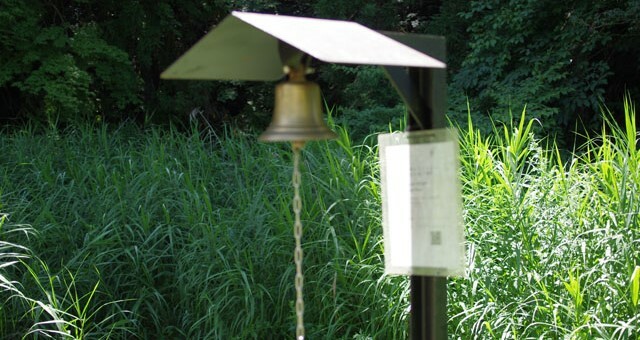 Kiso valley trail passes though the forests and mountains, ring the bell in order to avoid bear encounter. Traditional old house. Gravestone ? sorry I’m not sure what it is. This is the highest point of Magome psss 801m above sea level. 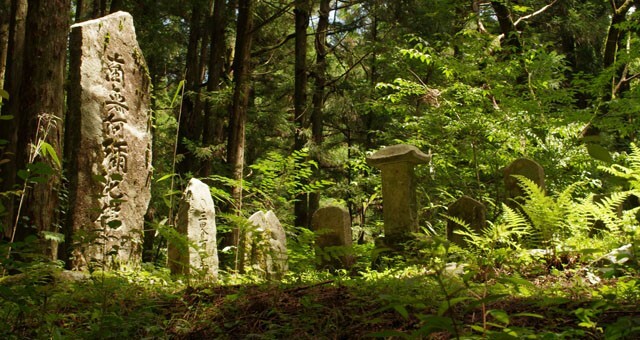 2.5km from Magome-juku and 5.5km to Tsumago-juku. 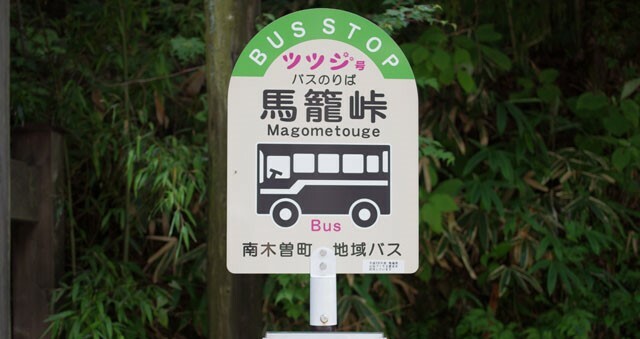 Local bus is operated between Tsumago and magome, but not so frequently, only 5times a day. Rest house enroute, let’s have short break here and start to walk again. 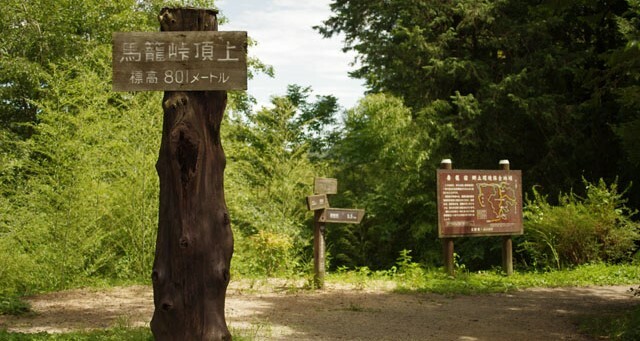 The trail goes though mountain area and we found sign 3.9km to Tsumago-juku. This point is almost halway. 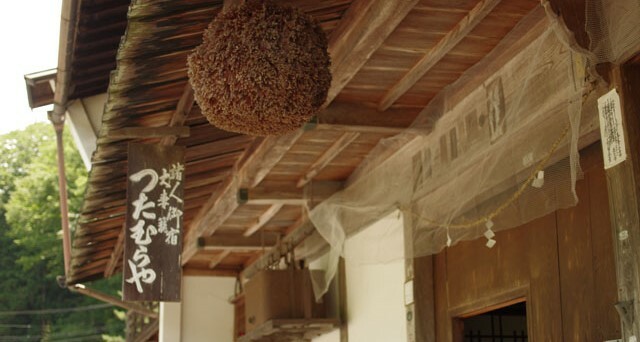 Brown big ball is hung under eaves of old house is called “Sugidama”. This is made of cedar leaves, and usualy it is hunged at Sake brewery. 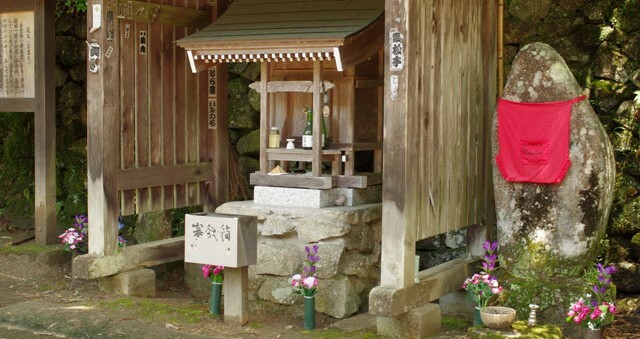 The stone statue wearing a bib is called “Ojizousan”. 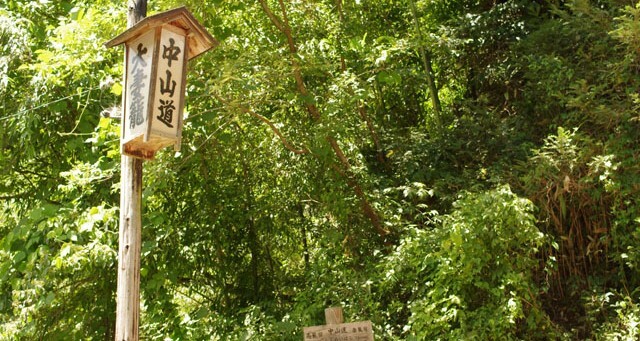 This is a guardian deity of children and travellers, can be seen at temples or old trails. 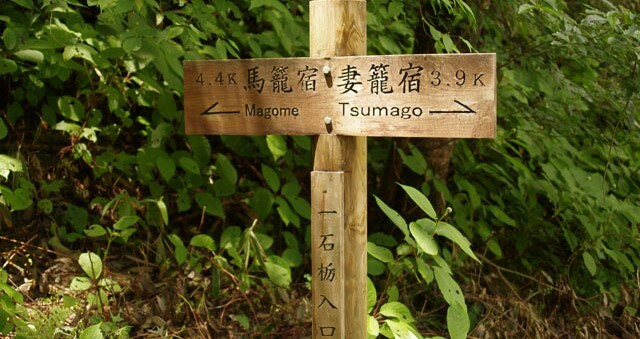 We arrived in Tsumago-juku, walked 8km, took almost 3hrs, getting hungry. So we had Oyaki(see above picture) before lunch. 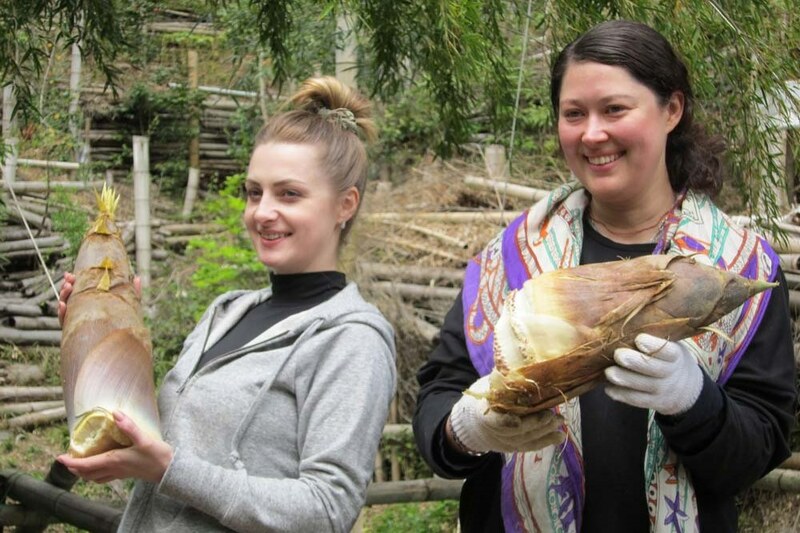 Oyaki is one of local food in Nagano. 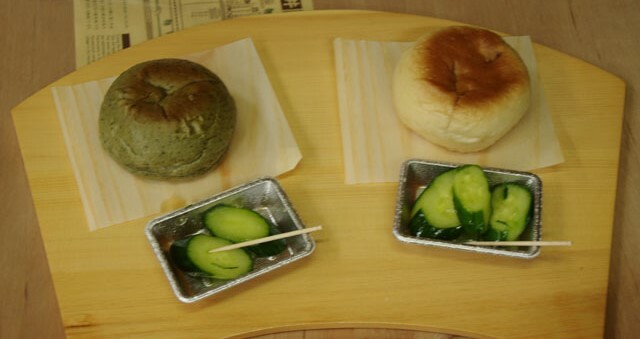 It is a Japanese stuffed dumping made from vegetables, red beans, Nozawana(pickles), miso, japanese mushrooms, etc… usually steamed or baked. When you order choose which taste you want. Whichever you choose, you will be satisfied. For more information and access.